What You'll Need: scriptures, printed set of CHRISTMAS SYMBOLS MINI POSTERS, GAK 240: Jesus the Christ, coloring tools and paper, children's scissors, cookie dough and frosting. Each year as we prepare to celebrate the birth of Jesus Christ at Christmastime we are surrounded by symbols. 'Symbols' are objects that remind us of something important. Today we are going to talk about the things we have around us at Christmas and how each item should remind us of the birth of our Savior. Christmas Tree: Christmas trees are evergreen trees. They do not die in the winter, but stay green all year. This is a symbol of eternal life. Christ made it possible for us to live forever in heaven after we die. Christmas Tree Star and lights: Stars represent the new star that appeared when Christ was born. Bells: The bells represent the bells which hung around the necks of the sheep that the shepherds watched by night when the angels appeared to them to proclaim Christ's birth. Many churches with bells ring them on Christmas morning. Candles: Jesus said that He is the light of the world. He shows us the way to go and leads us with His light. Candy Canes: This candy is made in the shape of a shepherd’s staff. The shepherds came to see baby Jesus. 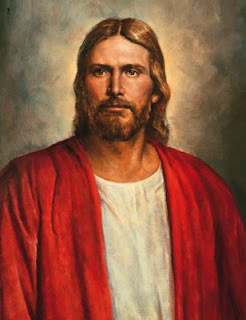 Christ is known as the good shepherd. Round Christmas Ornaments: The round ornaments we see on Christmas trees represent eternity. There is no beginning and no end of a circle. Jesus was resurrected and will live forever and so will we. Red, White, and Green: Christmas colors are symbols of Jesus Christ. Red represents the blood of Christ. Green represents eternal life. White represents the purity of Christ (he was perfect). Gift Giving: Gifts represent the gifts the wise men brought to the Christ child and the gift of the Savior that Heavenly Father gave the world. We when see these symbols throughout December we should remember the true meaning of Christmas; the birth of our Savior, Jesus Christ. Bear your testimony about the joy that comes from remembering the Savior at Christmastime and the peace and joy you feel about His miraculous birth. Activity: Choose from the following activities that would best suit your family. 1. 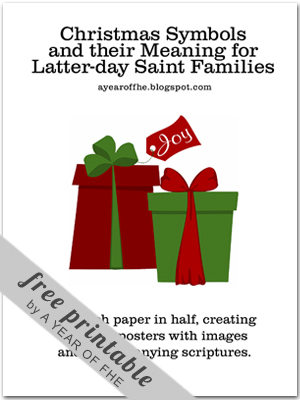 Find the Symbol - Move throughout your house and have children identify the symbols of Christmas present in your home. When a child finds one have them share the meaning of the symbol. 2. Paper Ornaments - Color and cut out Symbols of Christmas ornaments and have children color them and place them on the tree as ornaments. 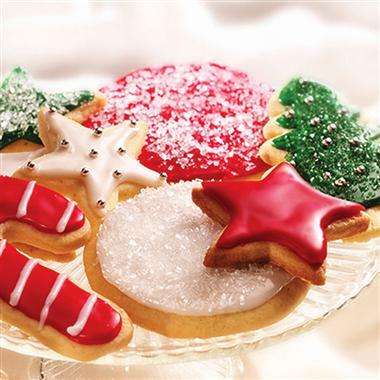 If you haven't already, bake sugar cookies using cookie cutters that correspond with the symbols discussed in this lesson. Thanks! I love the cute pictures that go along with it and the lesson it teaches in making things they will see all season have meaning. Thanks for your work! I have been looking for something "special" to do with my nursery children and this is it!! Thank you for posting this idea!! I love the idea of looking for the symbols in our home- thanks for this lesson! Thank you for this lesson, I am looking forward to our FHE tonight. This is just what we need for tonight. Thank you. This is great. My 4 year old will be able to "give" this lesson tonight. Thank you AGAIN. Thanks for sharing all of your lessons. I always check in here each week when I plan our lessons. I am happy to see a place where I can get ideas for FHE lessons. This will help me a lot in planning them. Thank You so much for all your hard work. I love your lesson plans. I am using it tommorrow! Thanks for making this easy for the rest of us! Thanks for making it so easy to have a great FHE! I love that you make it available to print, thank you. I love your lessons; thanks for making it so easy for me to have FHE in my family. Well thought-out lesson plans that I can print last minute to teach the gospel to my children - priceless! Thanks so much! Thanks for this beautiful lesson! Thank you for creating this lesson. I am so excited to use it for my children and nieces and nephews at our Christmas party. I love that it is great for small children. I noticed your blog entry right now and I am deeply surprised in a positive way by the way you make your blog post! Which methods do you mostly use to inform your readers about the fact that you have provided a brand new blog entry to this blog? Thank you so much for this beautiful lesson! I am doing it for FHE tonight. Thank you for this wonderful lesson! 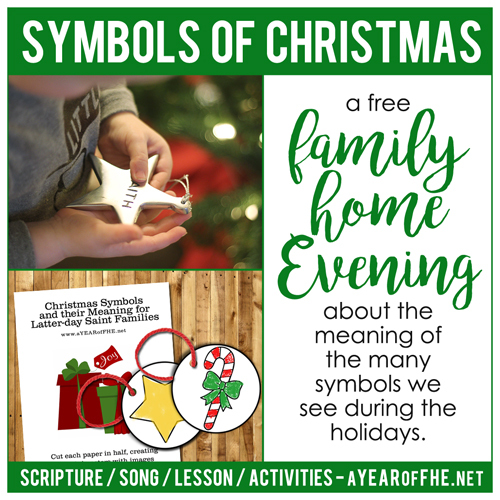 We are using it for the 12 days of Christmas that we are doing for some friends, and this is a great lesson that can be used for small children (and even older children) to remember the symbols of Christmas. Thank you for sharing. We all loved this! Thank you. The kids were engaged and all of them learned something new (even the bigger kids). I am having the hardest time downloading anything. I have tried to dowload the freebie of the symbols of christmas ornaments and with no success. I have tried to download all the free apps to download a pdf file and still no success. I really wanted it for my primary class today and I am sad that this one thing has wasted hours of my day and night. I love your stuff and ideas you have I downloaded stuff before but all the sudden nothing is working. not sure what to do. feel free to email me at cpatricehill@gmail.com if you have any tips to try in the future. I am also having the same problem. Nothing is downloading. I'm so sorry to those trying to download and having trouble! I am trying right now to figure it out and fix the problem! Hang tight.